If you are working with a tablet or a Smartphone, it’s critical that your data is safe. This is especially important when you are on the move. Any unprotected device that holds your data is vulnerable to threats, spamming, and other attacks. This can compromise your ID and also undermine the hardware of your device and the security that it has. Nowadays, it’s normal to get the news about security breaches that are largely related to illegal or stolen databases. However, a more obvious problem is always the security of your data and devices. Your tablet, Smartphone, and even your wallet have important personal and business information that could be hacked, stolen, or even compromised. Thankfully, there are a number of individuals who are trying to protect your credit card, lock down your mobile devices and even help you hide your device using IT security devices. Outlined below are nine reputable gadgets that will help you keep your important information out of reach of hackers. Have you ever gone out without your phone or tablet? Do you use a data drive? If yes, then there is a high chance that you might lose it. If you have lost it before, it must have been very scary. Almost everyone has some private data that they want to keep safe. It is, therefore, crucial to ensure that there is some kind of security measure for your data. Apricorn Aegis security key is a military grade USB drive that is among the best of security devices. It has a FIPS 140- 2 Level 3 Cryptography and 10-digit alphanumeric keypad to ensure that nobody accesses your data without your code. Its price ranges from $199 to $369. Although having a password manager is good, if a hacker gets your password, then your information is up for grabs. 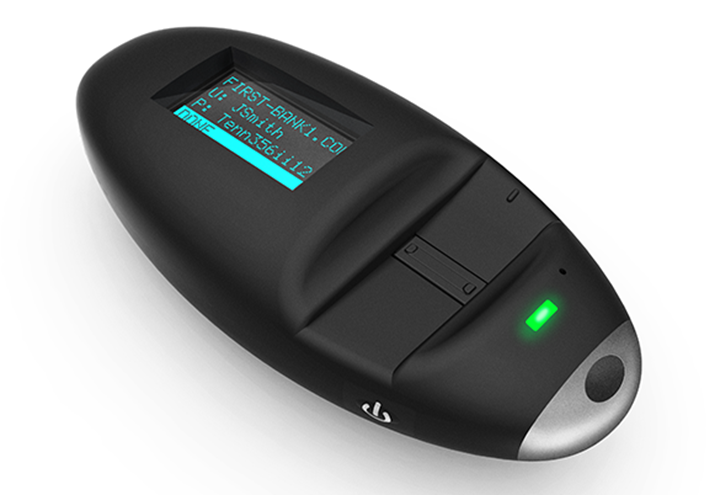 Sonavation ID Key is a special kind of hardware-based password manager that works with a biometric fingerprint scanner. It functions in such a way that you can access your online accounts by simply plugging the ID key into your laptop or window based device and then swiping it. Since a number of phones and laptops come with fingerprint scanners as security devices, it means that this idea is not new. Due to its ultrasound scanners, it promises to give you the best protection that you need. When it comes to IT security, it is difficult to beat the way authentication systems work. 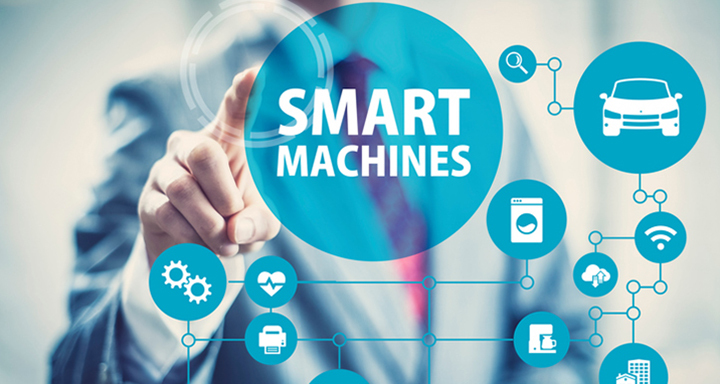 Currently, many IT security devices are turning to software and hardware strategies to incorporate this. 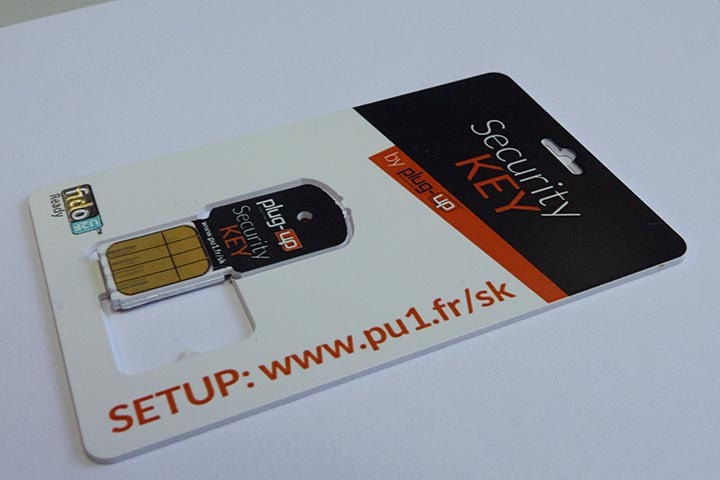 Although, to the user, it might mean a lot of work, especially when they are required to plug and unplug the smart card- style U2F Keys, YubiKey is a USB authentication key that offers the best solution. It comes with a simple button that gives you a one-tap token generation. 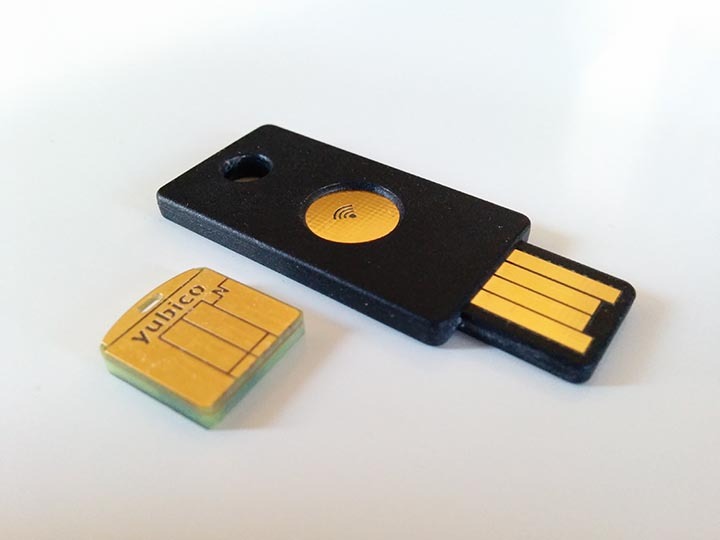 Going for $50 and $60, the Yubico YubiKey Neo-n works with NFC wirelessly which makes it even more effective. If you are planning to give a U2F security to all your workers, it might be very expensive, unless you are using a Plug-up FIDO U2F Security Key. It not only provides the best IT security for Google accounts, but it also works well with other web services using a USB Smartcard. Since it’s simple and lightweight, carrying it around is very easy. When it comes to blocking radio signals, the average jacket or shirt pocket might not do the best job. According to experts, this could be a great concern if you are using credit cards that have RFID microchips. It’s likely that someone who has a scanner can get your numbers without your knowledge. More so, there are also a lot of complicated wireless technologies built in your phone. These include GPS, Cellular, Wi-Fi, Bluetooth, and NFC. If you wish to protect your privacy and data, it’s very important to block some of these signals. This is the idea behind this product. 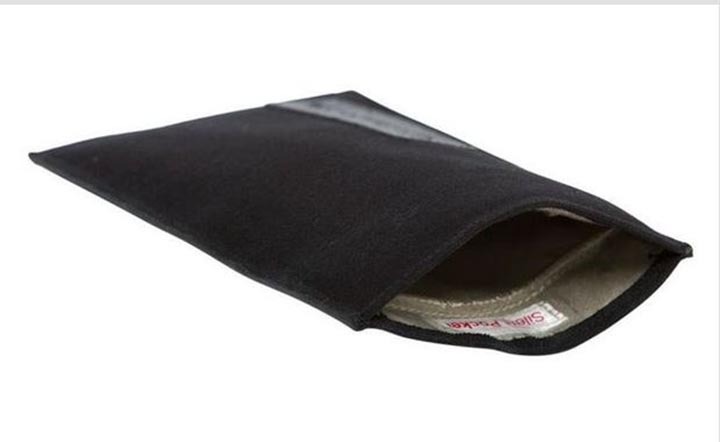 Looking like a Smartphone sleeve, it includes a shielding material that will block any signals from reaching your credit card or any other electronic card that you might have. It sells at $30 for the canvas and $70 for the leather. Although this looks like little more than an iPhone case, it’s actually much more than that. 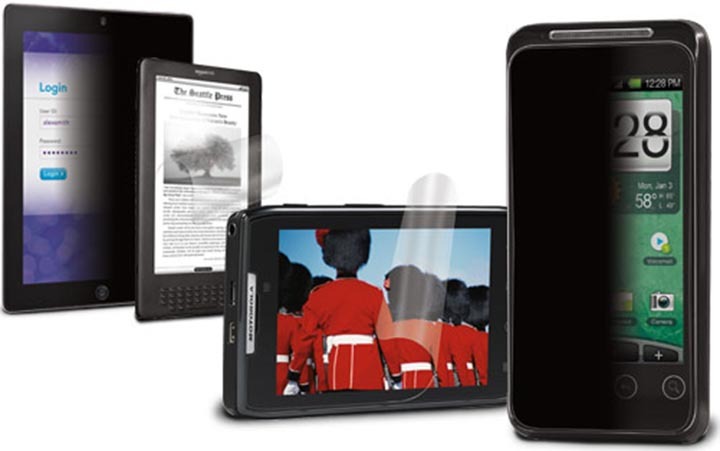 It offers an excellent protection and IT security that has a 2,200mAh battery life. What’s more interesting about it is that it’s made with a number of security features. For instance, it has a sliding shutter block camera that protects your privacy so that hackers cannot easily access your device. The idea behind it is that hackers should not see anything that they should not see. Its privacy apps also encrypt your photos, text message and videos such that your gadget is protected. They come in a variety of colors and different prices based on type. Its price ranges from $120 to $230 depending on the kind of phone that you have. 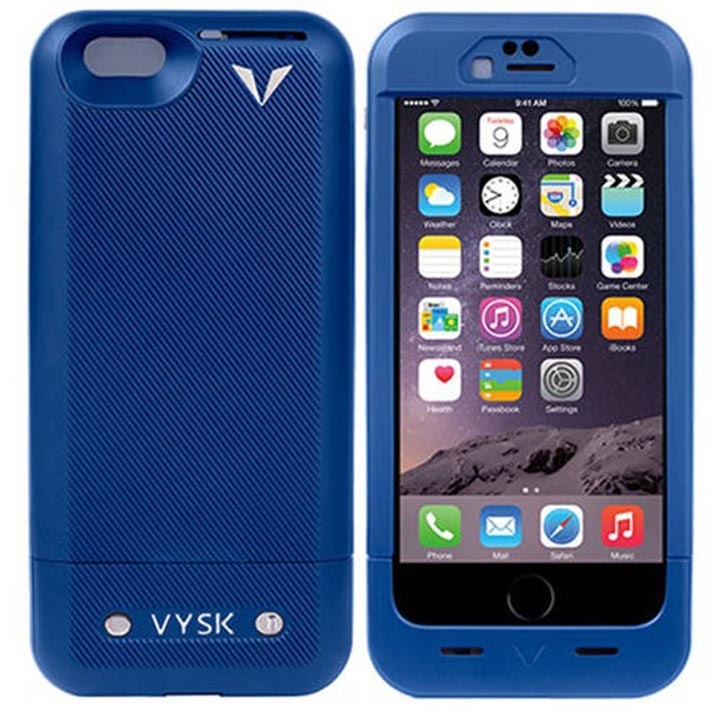 QS1 Quantum Security Case is also among the best IT Security Devices similar to Vysk and also works in virtually the same way. Going for $149, this is a pocket size electronic vault that helps protects your finances. It works by keeping your credit card in one single card such that it resets it every time you want to use it again. Every time you want to use your card whether in a restaurant or a store, you just slip the card into Wocket, make a few taps to complete the payment and you’re done. This makes it very secure. Although biometrics seems to be the next evolutionary step in IT security, does it mean you have to use fingerprints? Interestingly enough, you have some other special features that can be used to identify yourself, such as the heartbeat. 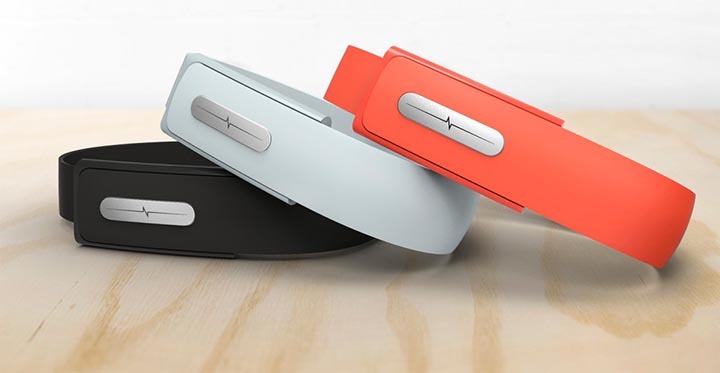 The Nymi Band works so that it generates an electrocardiographic sign that can be helpful in identifying yourself. Although it resembles a fitness band, it will depend on your ECG to replace the passwords. Currently, it’s retailing at $149. With a lot of focus on things such as passwords and encryption, it’s very easy to overlook some aspects of security. When you are riding a crowded van or sitting in an airplane, it’s very likely that the person next to you will glance at your device and see some of your personal information. Thankfully, there is a good way of stopping this. 3M Privacy Filters is available for laptops, Smartphones, and tablets and will give you a good view but anyone sitting next to you will just see white and black. They normally range from $17 going up.